With the right ingredients, a salad can be a hearty, delicious, and wholesome meal. Good proteins, healthy fats, and different textures help. So does a homemade dressing. While I used leftover Lean and Mean Pulled Pork for the version pictured here, grilled chicken or flank steak are equally delicious. I’m also thinking that Fired-Up Skewered Shrimp would be pretty fabulous on this salad, too! In a small bowl, stir together the salsa and the ranch dressing and set aside. 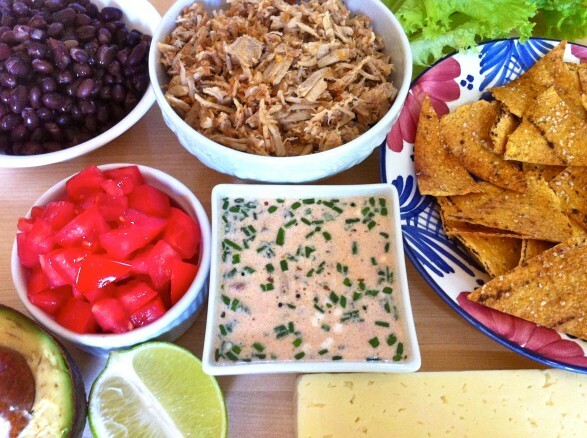 Place the lettuce in a large serving bowl and layer with the black beans, cucumber, jicama, tomatoes, avocado, protein of choice, cheese, and tortilla chips. Drizzle with enough dressing to coat lightly and toss to evenly distribute. Thanks for sharing this yummy looking salad on Manic Monday!! I pinned and tweeted it 🙂 hope to see you again next week!! It was my pleasure, Bobbi, and thank YOU! I will absolutely visit next week! Hi Ann, made this for our dinner tonight! Had to sub couple of things but soo good! Did not use jicama, and we are both sort of not fond of avocado, but I used black beans, corn and diced tomatoes plus cucumbers. I even made your ranch dressing recipe, outstanding! 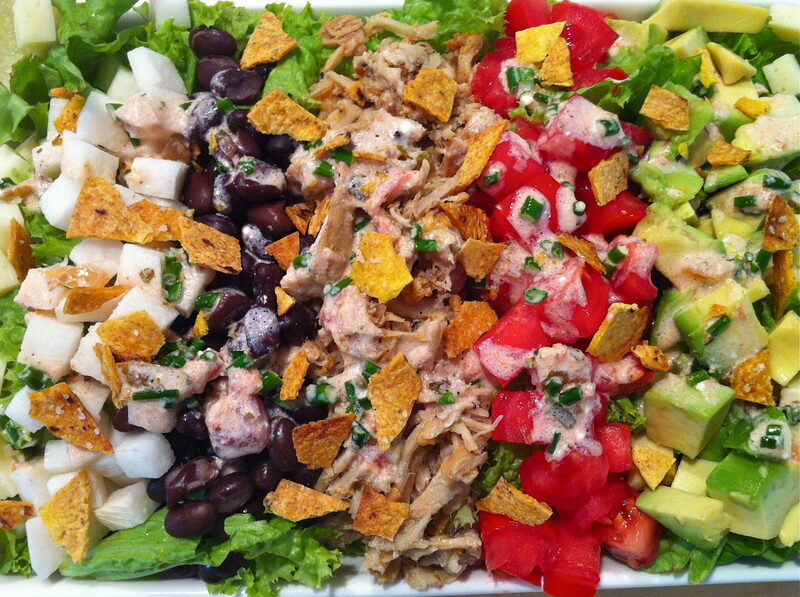 Instead of putting it all in bowl,we started with lettuce on our plates and added chicken and other toppings to it. Plenty left over for our lunches tomorrow. As my husband said, it is a keeper! I am thrilled, Mary Lou! Thank you for the great feedback. I, too, often start with the lettuce and pile on the toppings…and I always enjoy the leftovers for lunch!